I know it's hard. Trust me I've been there. What in the heyyyyck to wear for photos! Here are some quick basic tips, though I send a more complete guide to my clients including example color palettes. You don't need to buy new clothes. Many people think they have to buy a new fancy outfit for photos, but that's not necessary at all! Have a tried-and-true outfit that you KNOW you look smokin' in? Go ahead and wear it. Have a band tee you're known for wearing all the time, making it totally YOU? WEAR IT. That said, don't come grungy. Your clothes should be clean and ironed/steamed. We've all seen family photos where all members are wearing blue jeans and a white t-shirt. It's.... corny to say the least. The trick is to coordinate with each other and not match or clash! For example, the colors should be within the same color palette (e.g. all neutral tones), and you should avoid overusing loud patterns or statement pieces. If one of you is wearing a print, the other should be wearing a solid! RIP Last Man on Earth. Cancelled far too soon. Accessories and props: bring 'em! No, I don't mean woodblock letters. A prop can be anything— your pet (please do not surprise me with your pet; clear it with me beforehand since pets are not allowed at some locations, we'll want someone to handle the pet while we're taking photos without it, etc. ), a picnic, an amazing car, your kiddo's favorite toys for family photos. I typically bring some outdoor blankets and a few hats and pieces of jewelry we can play around with as well. Empty your pockets! Phones, wallets, etc., WILL show. We can always stick them in my bag so you have them handy, but it's best to just leave them in the car if possible. I allow my clients to have up to two outfits. 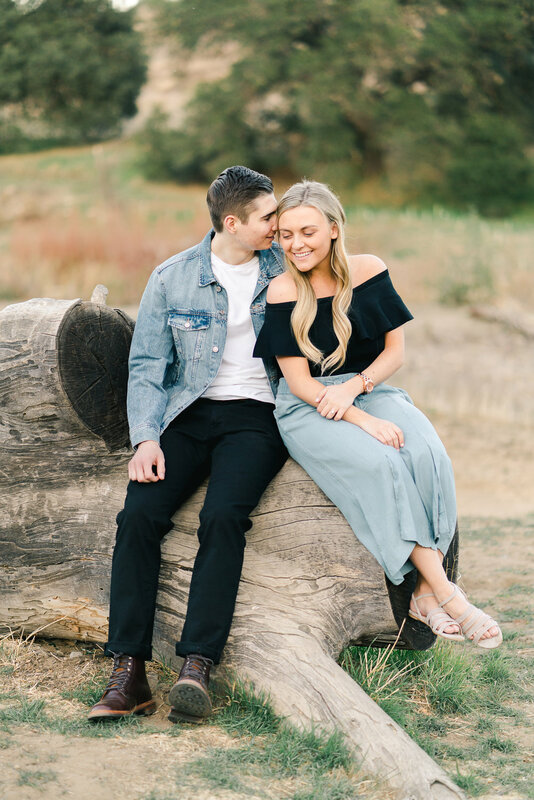 This gives some formal portraits (you know, the one your grandparents will want to put on the fridge) as well as some more relaxed and casual ones that you'll love for looking back on your relationship! Footwear—most bomb locations require a little bit of walking. PLEASE wear/bring comfortable shoes so we can do any climbing/adventuring necessary, then change into your fancy heels on location. Eat and drink BEFORE changing into your session outfit. The extensive photoshopping of removing stains can be incredibly time consuming and will require a fee. BOOM, now kill it, slay... whatever the hip youngin's are saying. These are my most basic tips! You can always send me any questions you have or photos of your outfit options when I send you my full guide on what to wear for your session. It's also a good idea to bring multiple options so we can narrow down depending on the lighting and colors of the scene as well.